An alien world is ripped apart by a refugee crisis, and the best hope for a peaceful resolution rests with Earth's Green Lanterns Jessica Cruz and Simon Baz. 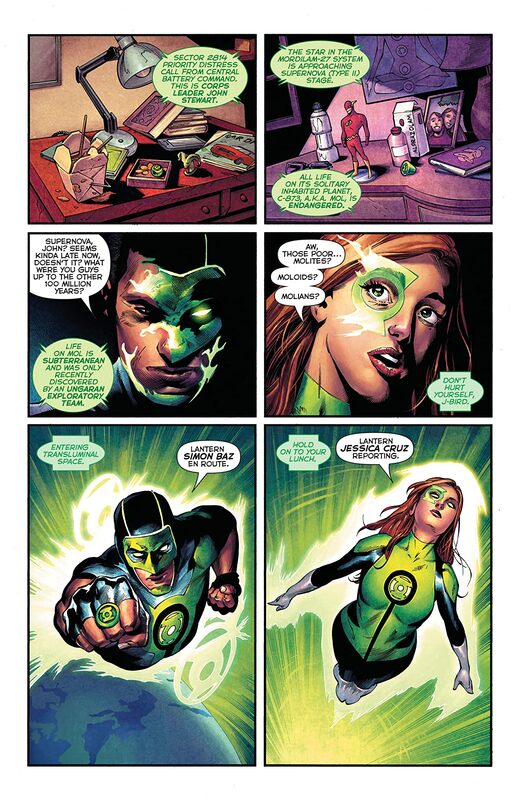 But did the Lanterns cause the problem in the first place? 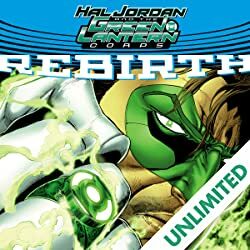 The planet Ungara—home of the Hal Jordan’s predecessor Abin Sur—is beset by a bloody battle triggered by the arrival of a race Baz and Cruz resettled there. 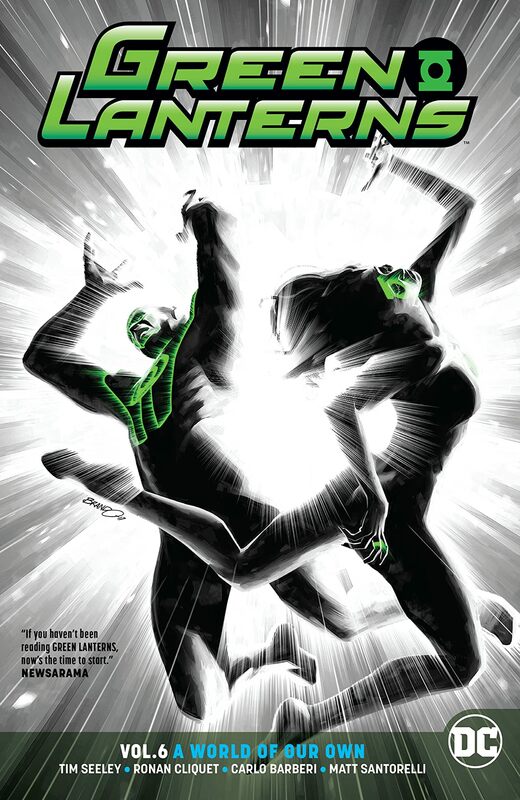 But things are not as they appear, and the Green Lanterns will have to overcome their own deep-seated fears and uncover an unexpected menace hidden among their allies before it’s too late to save an entire world! 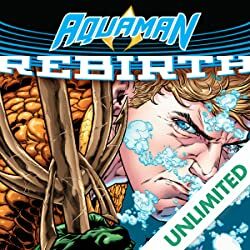 Plus, while Simon and Jessica try to get their private lives on Earth in order (being a Green Lantern makes it hard to find a job), they must also come to the aid of a notorious Green Lantern villain…and his dad! 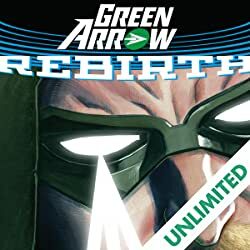 Plus, the debut of the deadly Singularity Jain and the mysterious woman called Night Flight! 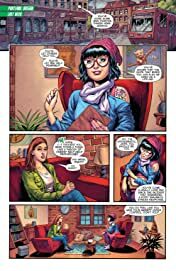 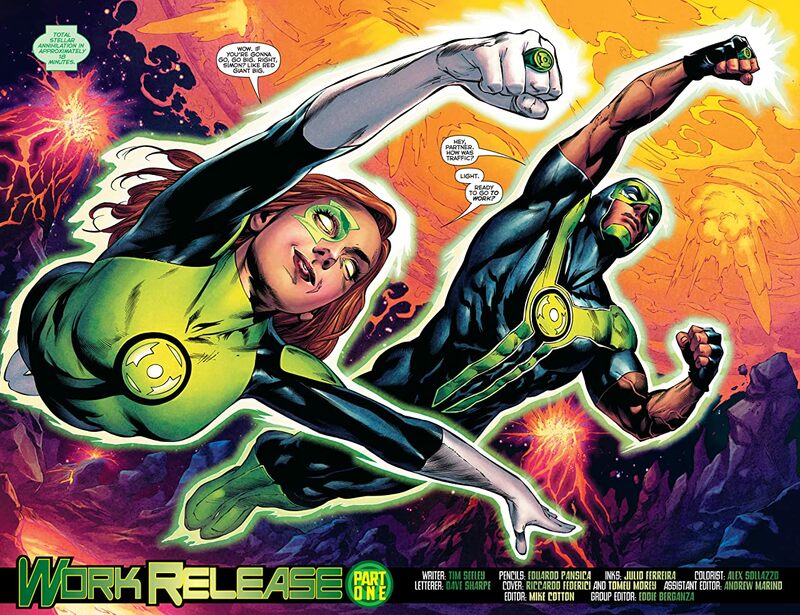 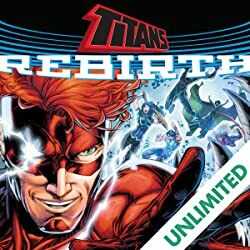 New Green Lanterns writer Tim Seeley (Nightwing, Grayson) joins artists including Ronan Cliquet (Marvel Adventures: Super Heroes), Carlo Barberi (Justice League Unlimited), and Matt Santorelli (Superwoman) in Green Lanterns Vol. 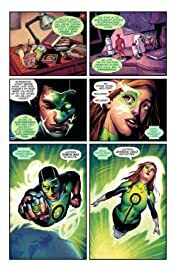 6: A World of our Own, collecting Green Lanterns #33-39!